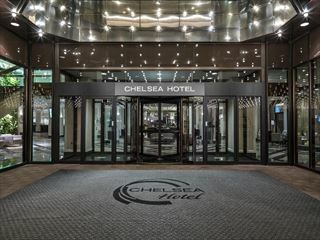 Arrive at Toronto’s International Airport and transfer independently to your downtown hotel for the next 3 nights. Explore independently or we can arrange sightseeing for you. The Niagara Falls full day tour will bring you to one of Canada's most spectacular sights. You will make your way to Niagara through the towns of Hamilton, "the steel capital of Canada", St Catherines "the fruit basket of Ontario", and the wine region of the Niagara Peninsula. An ample amount of time will be spent at the falls to give you every opportunity to take pictures and admire the thundering waters. 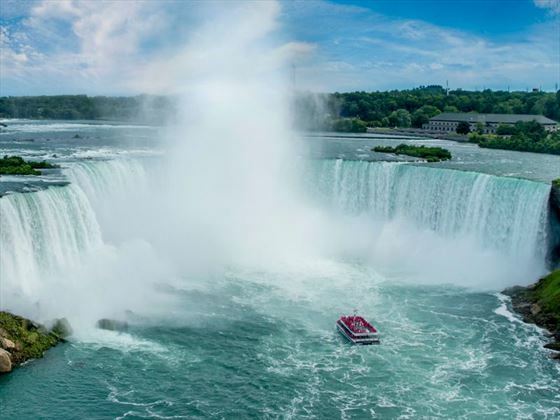 Included is a thrilling boat ride on the Hornblower Cruise* for a unique view of the spectacular Horseshoe Falls. 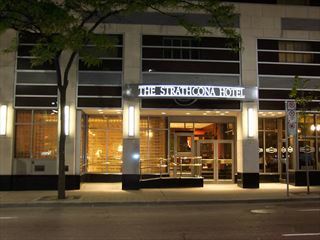 Other highlights include a panoramic lunch at Sheraton on the Falls and trip along the beautiful Niagara Parkway which winds its way along the Niagara Gorge passing through the historic town of Niagara-on-the-Lake, voted "Canada's Prettiest Town"
A full day to explore Toronto at leisure. 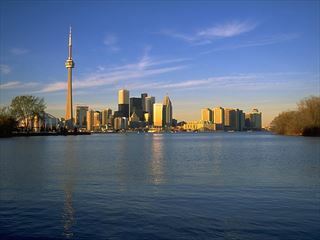 This morning check out of your Toronto hotel and transfer independently to Toronto Airport for your flight to Calgary. Upon arrival you have an included scheduled transfer to Banff. Two days at leisure in Banff, explore independently or we can pre-book some excursions for you. This morning check out of your hotel and catch a taxi to the train station. On board the Rocky Mountaineer train, you will experience a spectacular rail excursion from Banff to Kamloops. This unique daylight service allows you to view some of the most spectacular sights in Western Canada. The route departs the Rocky Mountains through the Kicking Horse Pass. By late afternoon, you are in the arid ranch land of interior British Columbia, where you disembark for the night. Upon arrival in Kamloops, the evening is at your leisure. Overnight in Kamloops. Today is at leisure in this wonderful city. Explore Vancouver independently, a hop on / hop off bus tour of Vancouver is a great way to see the highlights in a day. Morning is at leisure, early this afternoon catch a taxi to the Vancouver cruise terminal where you board your ship. Overnight on Holland America’s ms Noordam or Nieuw Amsterdam. Dinner included. Enjoy sailing through the dramatic Inside Passage. Breakfast, Lunch and Dinner included. Located at the foot of grand mountain peaks on the Gastineau Channel, the town of Juneau has the massive Mendenhall Glacier and the immense Juneau Icefields at its back door. Juneau is the place to let your imagination run wild. Explore the lush Tongass National Forest, visit the rustic shops in town, set out and whale watch, flightsee, hike, kayak, raft or fish. Due to the long daylight hours, there’s plenty of time for your perfect Juneau adventure. Breakfast, Lunch and Dinner included. Take your time and poke into every little store from the Trail Bench to Lynch & Kennedy’s Dry Goods. The Red Onion Saloon, with its honky tonk piano and costumed barmaids, is a treasure trove of memorabilia featuring pictures of Klondike Kate, Peahull Annie and other vintage characters. To complete the picture of those rip-roaring days, visit the nostalgic Trail of ’98 Museum. The Klondike Gold Rush National Historical Park boasts restored buildings and wooden boardwalks that invite you to take a stroll into the past. Breakfast, Lunch and Dinner included. As Biosphere Reserve and UNESCO World Heritage Site, Glacier Bay National Park protects a unique ecosystem of plants and animals living in concert with an ever-changing glacial landscape. Bring out the camera and listen for the thunderous sound of a monumental chunk of ice that has split from a glacier as it crashes into the sea. The impact shoots water hundreds of feet into the air. Glacier Bay has more actively calving tidewater glaciers than anyplace else in the world. Breakfast, Lunch and Dinner included. Built out over the water and climbing weathered stairways, Ketchikan clings to the shores of Tongass Narrows and drapes the mountains with a cheerful air. Take time to explore Creek Street, the Tongass Historical Museum, Totem Bight State Park and Saxman Village, Ketchikan’s main attractions. Deep water fjords created by retreating glaciers has left behind stunning granite cliffs towering thousands of feet above the sea and countless waterfalls cascading into placid waters. Breakfast, Lunch and Dinner included. After breakfast you will disembark your cruise ship in Vancouver where your vacation concludes, Catch a taxi to the airport for your flight home. Breakfast included. 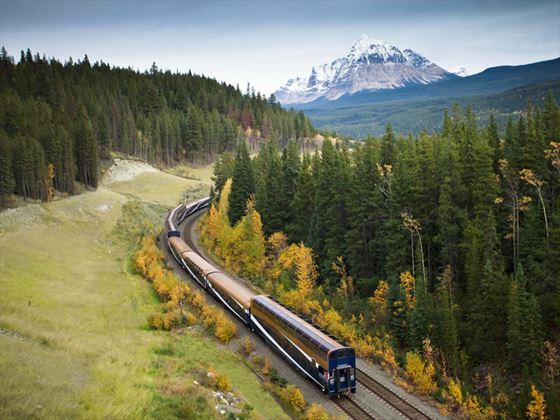 2 day Rocky Mountaineer Silverleaf Service, upgrades available at a supplement to Goldleaf. 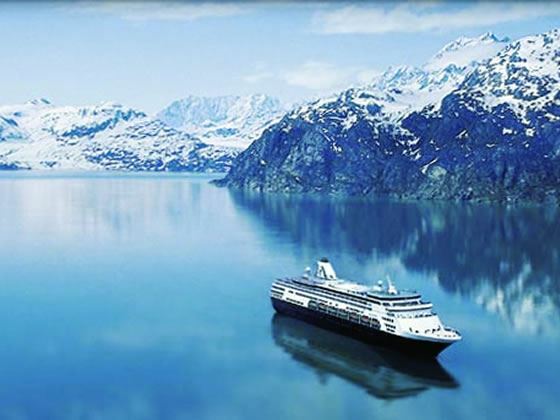 7 night Holland America Alaskan cruise in an inside cabin. Upgrades available at supplement for Ocean View & Balcony cabins. Transfers from Toronto Airport to Hotel and Hotel to Airport, train station transfers in Banff & Vancouver, transfer to port in Vancouver and airport at the end of the cruise.